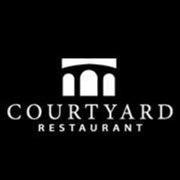 The Ottawa Wedding Planner welcomes Courtyard Restaurant to our local Ottawa Wedding Directory. Their gorgeous ceremony locations make planning your ceremony and reception easy! Their unique, historic venue is a must see. Visit our Wedding Directory for a full list of wedding vendors and Catering in Ottawa, Ontario.